Any of these ring a bell to a simpler time? We have Hans Christian Andersen to thank for these and many other children’s stories. Andersen’s impact has not gone unnoticed, as there is now a holiday surrounding his birthday. 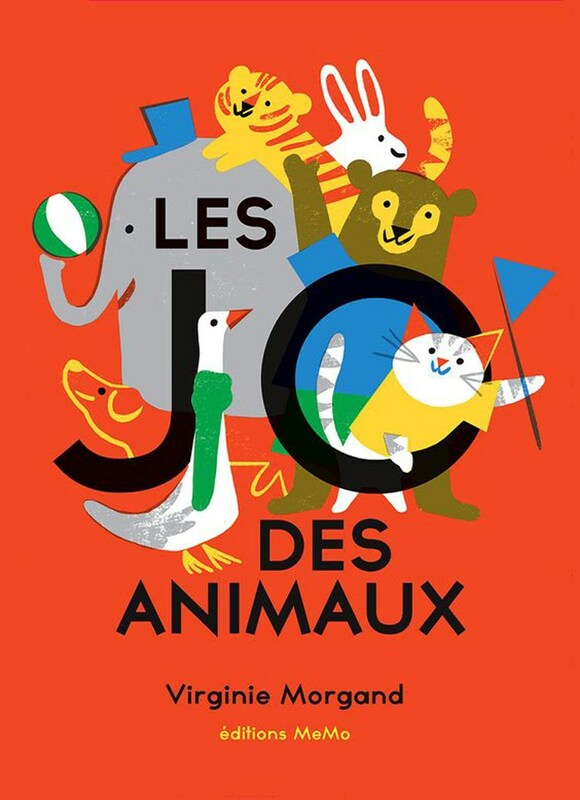 Since April 2nd, 1967, International Children’s Book Day has inspired the spirit of reading and calls attention to the vibrant genre of children’s books. For readers, authors, and illustrators alike, this day marks a special moment to reflect on the impact and accomplishments that children’s stories create. On the day itself, many writing competitions are held along with awards and events with authors and illustrators. Children’s books often garner a large amount of respect and rightfully so. These stories have the capacity to influence the world and facilitate change.To that end, it is no surprise that these books garner awards for their overall design. This is ultimately due to the fact that these stories are universal and culturally relative. French designer Virgine Morgand employs the style of Bauhaus, with mid-century colors to achieve an almost timeless visual. 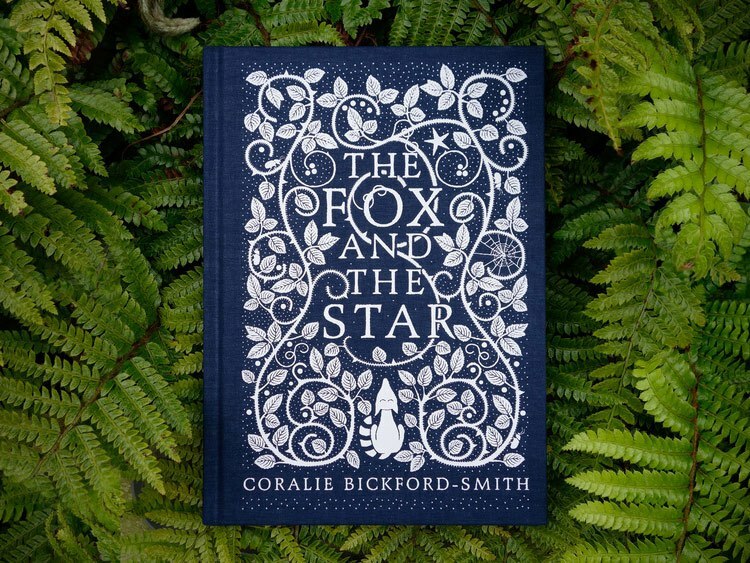 British illustrator Coralie Bickford-Smith utilizes polished typography and refined illustrations to communicate a story that will remain a classic. 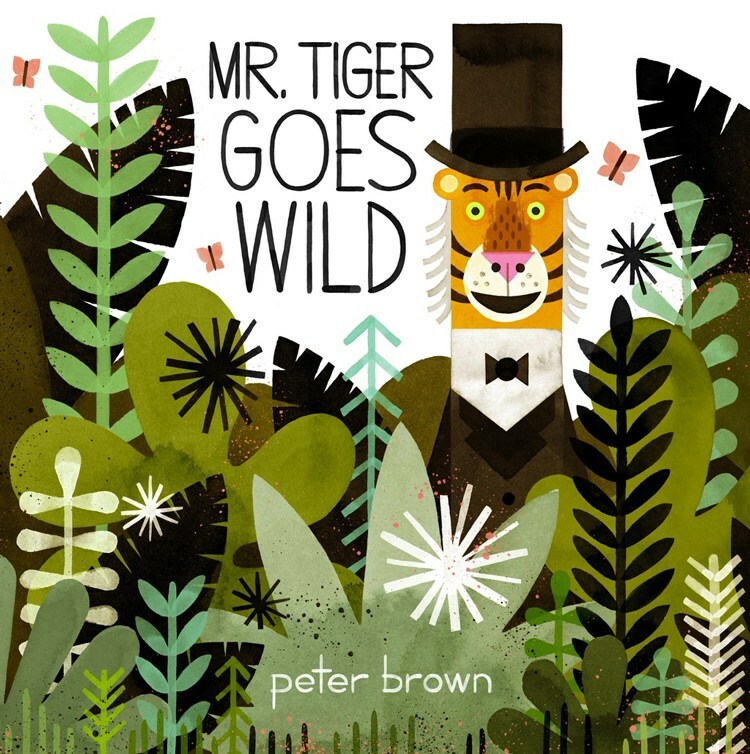 American author and illustrator, Peter Brown awakens his stories with bold, vivid illustrations while challenging the idea that all children’s stories must be bright and colorful. Having lived in Pakistan, Singapore, Taiwan, Cyprus, France, and now North Carolina, Webster is no stranger to the world. He has his BFA in painting with a minor in French from the University of North Carolina at Greensboro and attended both the University of Rennes 2 in France, as well as the Yale University Norfolk Art Program in Connecticut. Perhaps it is his worldview and well-rounded education that has contributed to the success of his children’s book and career as a whole. Nonetheless, Webster is a creative force to be reckoned with. Fifth Letter had the privilege of talking with Kyle T. Webster and was able to pick his brain on a few things. The following is our conversation with him. 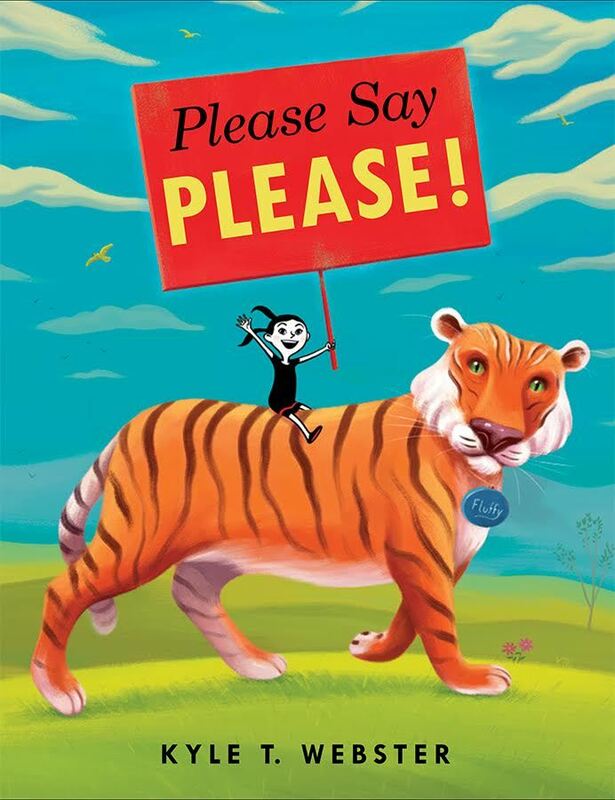 Was “Please Say Please!” your first story idea? If not, why did the original story ideas get tabled? It was not my first story idea, but it was the first idea I thought I could sell to a publisher. I assumed that having a published book on the shelves would make it easier for me to pitch slightly more zany ideas in the future. What were some of the obstacles you had to overcome in getting this book published? Surprisingly, I had a rather easy time getting this book published. Several things fell into place at just the right time. 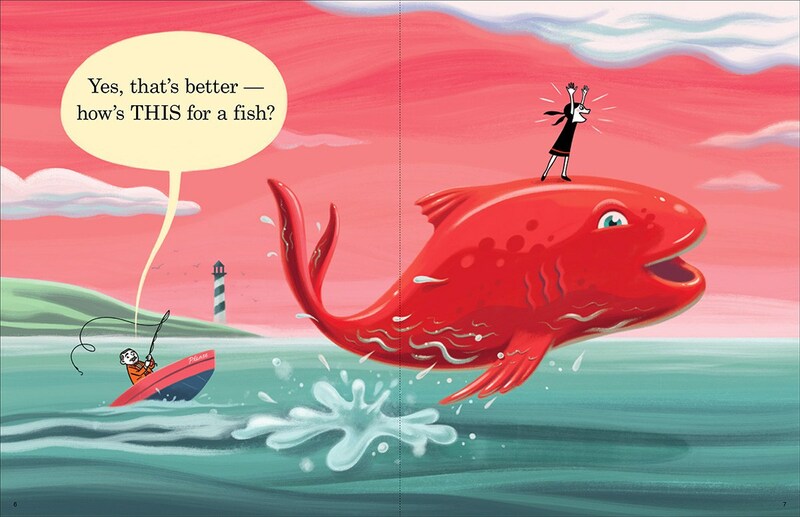 First of all, I had just secured a picture book agent by simply sending her an email with a few samples of illustration work. I do not think it always works this way! But, she had tweeted that she was looking for new talent, and I was the first person to write her that day. Luck and timing. That same day, I told her about my idea for ‘Please Say Please!’, created the dummy that week, and she had sold it to Scholastic three weeks later. Looking back, I still can’t believe how smoothly that all went. I realize people struggle for years to break through; I do think that being able to offer a two-for-one (artist / writer) to publishers helps a lot. Do you have plans on creating another children’s book? Yes, I have dummies for four more books at the moment. My agent is shopping one of them around at this very moment. I’m also pitching a non-fiction book about digital painting and we have a publisher interested in that, as well. You have made a career out of illustration, teaching, creating digital brushes and now you have published a children’s book. Did you have a career plan or did it happen organically? My career has evolved both organically and as a result of careful planning. I think it’s 50/50. I’ll plan something, and then once I put the plan into action, new opportunities and ideas will grow organically out of my following through on some part of the plan. Does that make sense?! What would you describe as your biggest professional failure and what did you learn from it? I failed to read a contract all the way through on my first big book illustration job (30+ drawings and a cover). The book wound up being printed in six languages and I could have been paid for each reprint had I bothered to read the contract. Instead, I sold the rights away and missed out on a lot of money. I learned to read and negotiate ALL contracts after that blunder. What would you describe as your biggest professional success and what did you learn from it? My Photoshop Brush business (kylebrush.com) is my biggest professional success, by far. It would be impossible to write about everything I have learned from this ‘side project’ (now more of a full-time occupation). I will say that I have learned how to take a small idea and grow it into something enormous through very consistent social media marketing, and most importantly, through understanding what my customers want (and educating them about what they really need). What is something you still hope to learn or do? I want to learn how to paint with watercolors. I actually teach watercolor painting at the UNC School of the Arts, but I just teach basics. I want to become a master. I also want to learn some new sleight-of-hand maneuvers with cards – card magic remains my favorite hobby, and I have not upped my game in years. 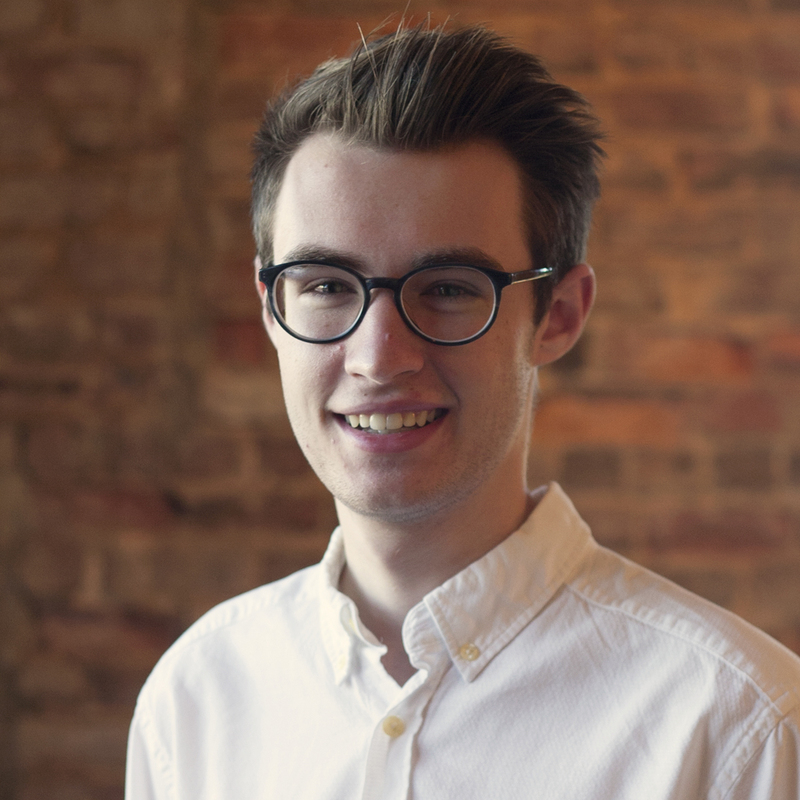 Tyler Petrich, Intern and Spinmeister at Fifth Letter, makes the perfect playlist for any situation. He will graduate this spring from the design program at High Point University. Tyler is often found scouring the internet for new tunes and job opportunities. Contact Tyler at tylerpetrich@me.com.